The answer is simple, no. I believe in “everything in moderation”. It’s natural to fear new things, especially new technology. I have collected four anecdotes about new technology through the years and the skepticism around each one. In the 1500s a German goldsmith named Johnn Gutenberg invented a machine that changed the world: the printing press. The books and materials that were produced via the printing press did not come without resistance. Already 400 years before the birth of Christ, the Greek philosopher Socrates (who never wrote a word himself), thought that the written word would lead to forgetfulness. In the 1600s a Swiss biologist, Conrad Gessner, said that books gave an overload of information and that the population should be spared. 200 years after the invention of the printing press, the philosopher Gottfried Wilhelm said that books were spreading and creating barbarism and cruelty. However, the printing press paved the way for the Enlightenment, Industrial Revolution, moon landing, Nokia 3310, Fifty Shades of Grey and much more. When Guglielmo Marconi invented the radio in the beginning of 1900s, he wrote a letter to the ministry of Post of Telegrafi, where he applied for financial support for his radio project. He never received an answer but instead he was awarded asylum for insanity. No one in the ministry saw the opportunity for a wireless music box. When the radio was further developed from a 1:1 communication tool to a broadcasting device in the early 1900s, it caused a stir and many believed the wireless music box was worthless and that no one would pay to receive impersonal messages. When the radio gained popularity it was met with hard criticism. The radio was accused of being distracting for children doing their homework and thus hindering their education and the future of society. In the 1800s a revolutionary technology was invented. It consisted of copper wires and electromagnets and provoked great resistance and skepticism. In 1877, the New York Times wrote that the invention would destroy privacy and some critics among others, author Isaac Funk, believed that the invention was a risky move to erase the boundaries in the real and spiritual worlds. Others believed that the invention would turn society into a collection of anonymous and isolated individuals. The invention was originally described as a remote device; today we just call it a phone. During the 1990s it became possible for the common person to use a telephone cable for more than a phone call. The magazine Computerworld, wrote in 1993 that the “Connection to the global Internet now has [a] low price where private consumers can join”. Many were excited, while others were extremely hesitant. For example, the Danish newspaper, Politiken, wrote in 1998 (journalist Henrik Palle) how the people feared that the Internet users would be transformed into soulless info-zombies with squared-eyes and faces that would neglect family and friends. Palle continued by saying that Internet users would only be able to survive if the local pizza place was online and delivery. The article also said that the Internet could lead to a world populated with “webaholics” and info junkies, where even tiny babies must send electronic letters to their parents for breastmilk and attention. Fortunately, it didn’t turn out quite so bad. With new inventions, new technology and new habits, comes fear, primarily a fear of change. We like life as it is and are not as ready for changes as we would like to be. Thankfully though, children, tweens, teens and first movers are. They embrace new technology, play with it, and make their own. 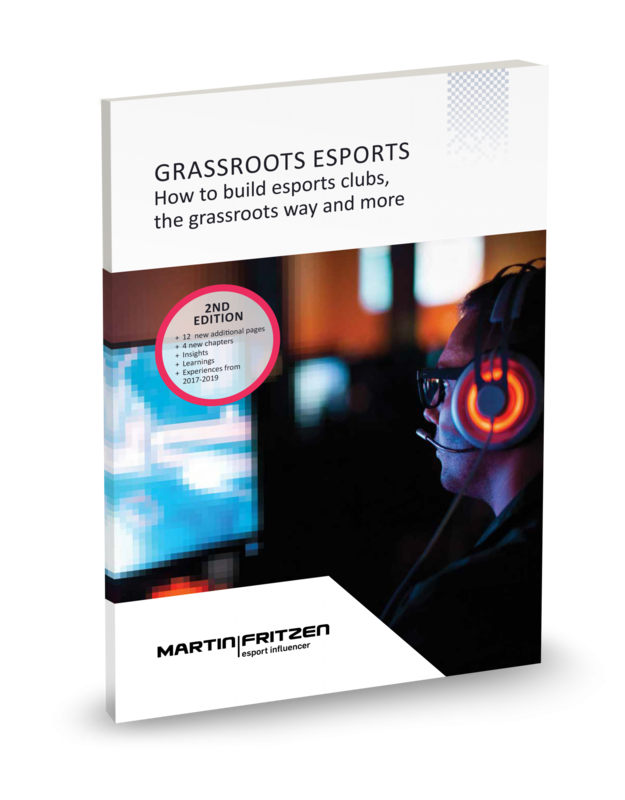 As a school, sports club, manager, coach, parent or responsible human, we can help youngsters by informing them, educating them and bringing esports/gaming to them as a club, association or course. We can take an active part in their education and be a part of the new “world”.